Why Does a Subsidiary Need a License Agreement? Bankruptcy. Not sure it would have made a difference in the outcome here, but it might have helped. Ham’s Inc. filed for bankruptcy and RCR Marketing, LLC bought all of Ham’s “right, title and interest in the assets, property and rights, tangible and intangible (including without limitation, equipment, inventory, supplies, goodwill, trademarks, licenses, and other intellectual property), of [the Ham’s Inc.] bankruptcy estate.” It bought the assets without any warranties of title, merchantability or fitness. Problem was, Ham’s didn’t own the trademark, Chelda did. Meanwhile, the Bank of North Carolina was a secured creditor of Chelda, holding a perfected security interest in, inter alia, the trademark. The Bank of North Carolina and Chelda filed complaints claiming that RCR Marketing had no right to use the mark and asking that RCR Marketing be enjoined. RCR Marketing retorted that that it bought the marks and other property at auction, so Chelda and the bank no longer had an ownership interest. Evidence suggests that Chelda has never used the Trademarks in commerce itself, but rather only benefitted from the use by another, namely use by Ham’s Inc. under a purported license agreement. Furthermore, Chelda is not currently using the Trademarks itself and has not provided the Court with another entity which would definitively become the immediate user of the Trademarks at this time. As such, although the Court takes into account that Chelda seeks to maintain control over the use of the Trademarks, the Court finds that immediate and continued use of the Trademarks cannot be accomplished by Chelda, itself, at this time. Therefore, prohibiting all use of the Trademarks in commerce by RCR would neither protect the purported ownership interest claimed by Chelda nor protect the goodwill of the Trademarks in the eyes of the consuming public. As such, the Court will not grant the preliminary injunctive relief sought by the Bank to the extent that such relief would entirely prohibit RCR from using the Trademarks in commerce. Instead, the Court will allow RCR to continue use of the Trademarks in commerce . . . .
Chelda was granted the right to exercise quality control over RCR Marketing’s use of the mark, “in the manner it claims to have done as purported licensor during Ham’s Inc.’s use of the Trademarks.” A percentage of sales was also to be held in escrow. Would a formal license agreement between Chelda and Ham’s Inc. have put Chelda in a better position? Perhaps. 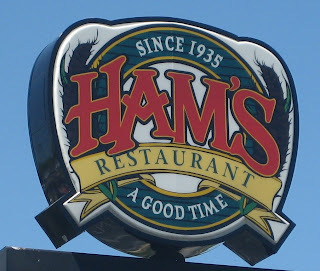 The court is clear that there are underlying questions of trademark ownership and abandonment based on the absence of a formal licensing agreement (e.g., “As of the October 18, 2010 hearing, no evidence of any specific license agreement between Ham’s Inc. and Chelda has been produced. As such, the Court does not resolve any questions of ownership nor make any determinations based on abandonment arguments that have been or may be raised by the parties . . . .”), issues that would be much harder for RCR Marketing to raise if there was a formal agreement in place. Finally, the license would have been part of the bankrupt estate, making RCR Marketing’s argument that it thought it acquired the mark because “confusion exists regarding the separation of Ham’s Inc. and Chelda” much more difficult. I’m not a bankruptcy lawyer, but I believe that the trustee would also then have had to go through the process of formally deciding whether to reject or assume the license under Bankruptcy Code § 365. It’s easy to let the formalities between corporate family members slide. But you never know when you’re not going to be on such friendly terms anymore. Bank of North Carolina v. RCR Marketing, LLC, No. 1:10cv663 (M.D.N.C. Dec. 3, 2010).